Dr Wafa Sultan: Can Islam coexist with Western Civilization? Filed under: Courage, Islam, Useful idiots, Weakness, Western Civilization | Tagged: Evil, Islam, jihad, Wafa Sultan, western civilation |	Comments Off on Dr Wafa Sultan: Can Islam coexist with Western Civilization? Many Americans believe a mosque or Islamic Center is simply a “Muslim church.” This could not be further from the truth. 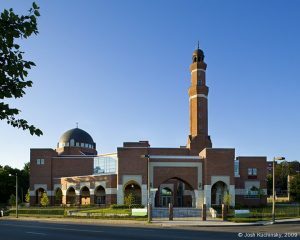 Mohammad used mosques as a place for the community to gather and learn about Islam. It was a place to store food, water, weapons, and ammunition. It was a place where jihadis lived and trained. It was also the place where battles were planned and the place from which battles were launched. So, thats what a mosque is. Filed under: Deception, Infiltration, Mosques, Muslim Brotherhood, War | Tagged: Evil, Infiltration, Islam, Islamic jihad, mosques |	Comments Off on What Is The Purpose of Islamic Centers/Mosques in America?